Before we get to the bars… did you enjoy our special chocolate haiku in the letter? To me, Bar A is the equivalent of going to a nice restaurant at the beach, right on the coast, where the fish your order was swimming that morning a couple miles out. As in, super fresh, with all of the healthy nutrients preserved by the time you get it. This bar is made with RAW cacao. It’s also sweetened only with RAW honey (that means no refined sugars). The fact the cacao and honey is raw means more of the nutritional properties are still intact, so it’s very nutrient dense. So basically this is a very healthy chocolate bar with all of the nutritional properties preserved, just like that fresh salmon you get from your favorite restaurant on the beach (Oh, and NO refined sugar, which is usually really the only “bad” ingredient in chocolate bars). Oh, and what about a chocolate conspiracy.? That’s probably the only one we’d like to believe in. Some say this bar tastes a little like Christmas in your mouth. I say it tastes like a chocolate bar that got lost in the spice cabinet. Either way, this is very interesting chocolate, to say the least. Did you get it right? Yep. Who saw that coming? 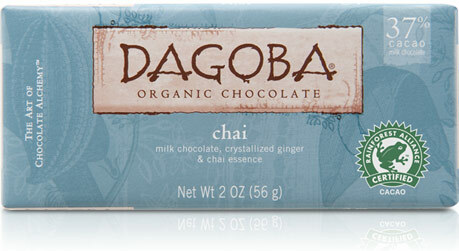 And, when was the last time you had a chocolate bar with ginger in which the ginger was overpowered by the other flavors? This was definitely a sophisticated tasting bar. 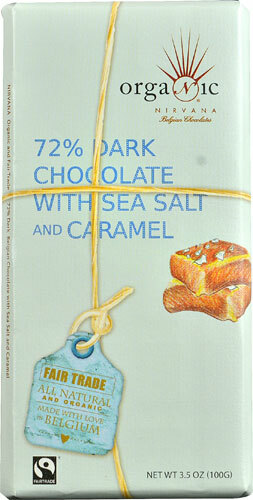 We like to think of it as an “Ivy League milk chocolate”. The thing that I like about this bar is that the flavors kind of dance around when you’re eating it, avoiding the spotlight. They never really come to center stage, rather, they just kind of hang out behind the scenes watch you eat. You keep expecting them to pounce on you, but they never fully do. However, this is a very good bar and we loved it — great dark chocolate! So that’s the June 2015 box. How did you like it? Bonus points for writing your response in haiku format. 2 Replies to "June 2015"
Have not received your deliciousness yet!